Cloth mourning ribbon with printed text, mounted on sheet with date written in manuscript. The text reads "In Memory of our President." 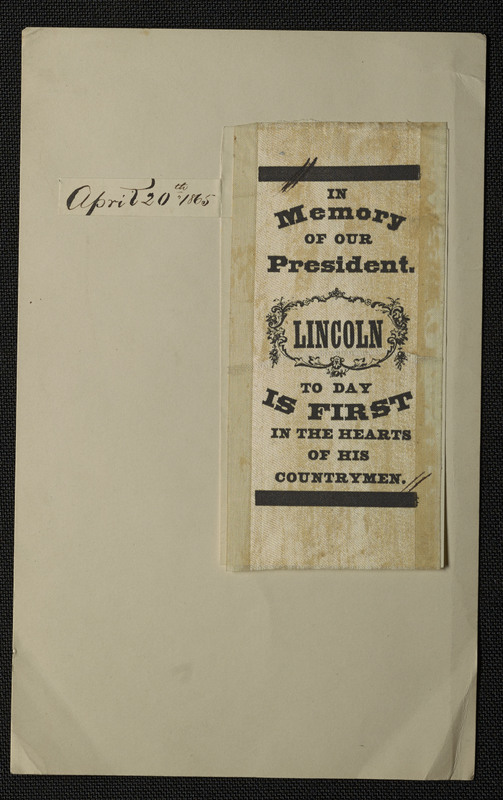 "Lincoln to day is first in the hearts of his countrymen."